Add Your Story to Comcast NBCUniversal’s Project in Celebration of Your Community! Comcast NBCUniversal is looking for stories from military community entrepreneurs that encourage, inspire and celebrate the transition from serving your country to building a business. To do this, we are launching an exciting project with SeenIt, a video collaboration tool, and we want you to join us! We invite you to help amplify the dedication and entrepreneurial spirit of our nation’s more than 2.5 million veteran and military spouse founders. Simply use your smartphone to create and upload videos to tell us who you are, what you’re building, and any advice you have for fellow military community members who want to follow in your footsteps. 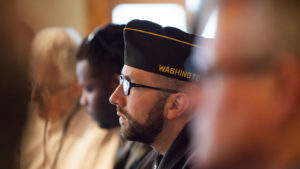 Then, we may connect your story with those from other military founders in a video Comcast NBCUniversal will post to ComcastPartner.com and share through @Comcast on Twitter. If you have any questions, please contact Jeanette Pierce from Comcast NBCUniversal’s Entrepreneurial Engagement team. See the Female Founder Month Celebration video project created in partnership with Seenit!